About a month ago I spent the weekend on the Mornington Peninsula and whilst I was there I took the opportunity to check out some of the wineries in the area. 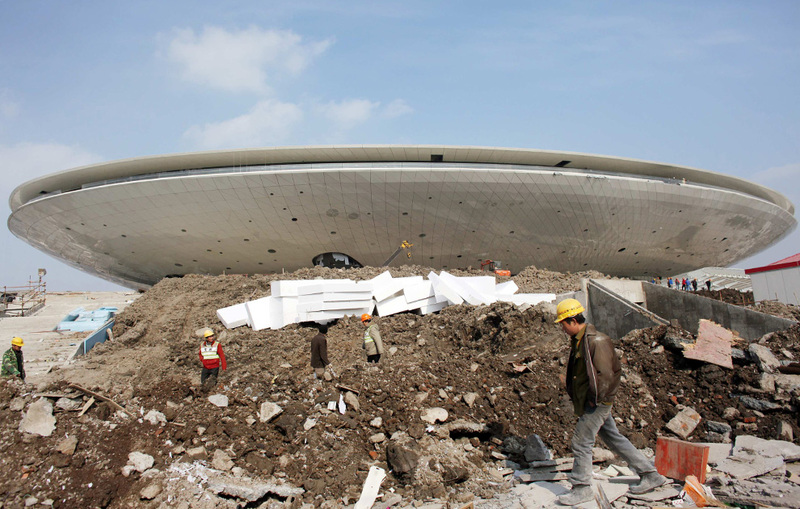 Today someone sent me a link from boston.com showing Shanghai’s preparation for Expo 2010, which will be the biggest of its kind. Situated amongst all those great pictures were those of the Australian Pavilion by Wood Marsh. It was my first glimpse of the project that I have only heard much about and to be honest I was a little disappointed. It looks like a combination of two previous projects by the esteemed Melbourne firm, ACCA and their Yve Apartment building, and when you look at in comparison to the other pavilions it is not that impressive and in part a little bland. 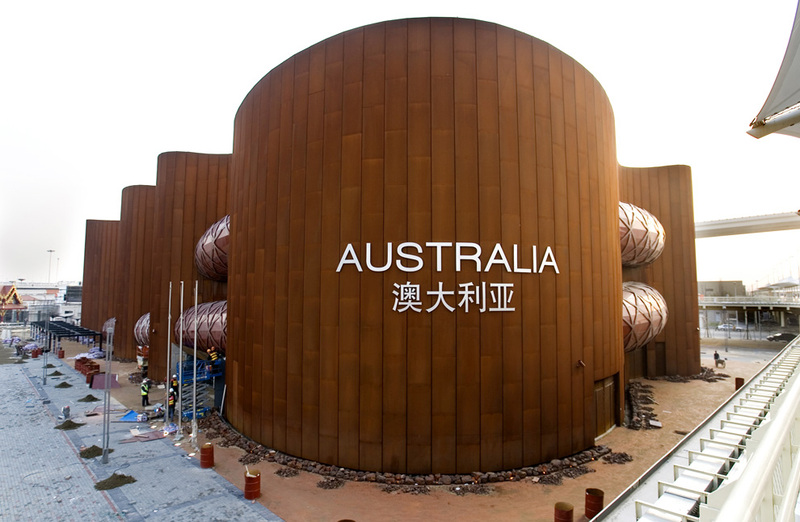 Whereas, the pavilion by Thomas Heatherwick for the UK Pavilion and the Spanish Pavilion by EMBT Miralles-Tagliabue are eye-catching, the Australian effort is a disappointing effort for Wood Marsh’s first real significant foray into international architecture. In the future commissions such as this shouldn’t be handed out based on reputation alone, but the design itself. Personally, I would love to see a young up and coming architectural firm get the gig. As for my favourite image, it has to be this one. If only they left the rubbish there for the Expo itself. 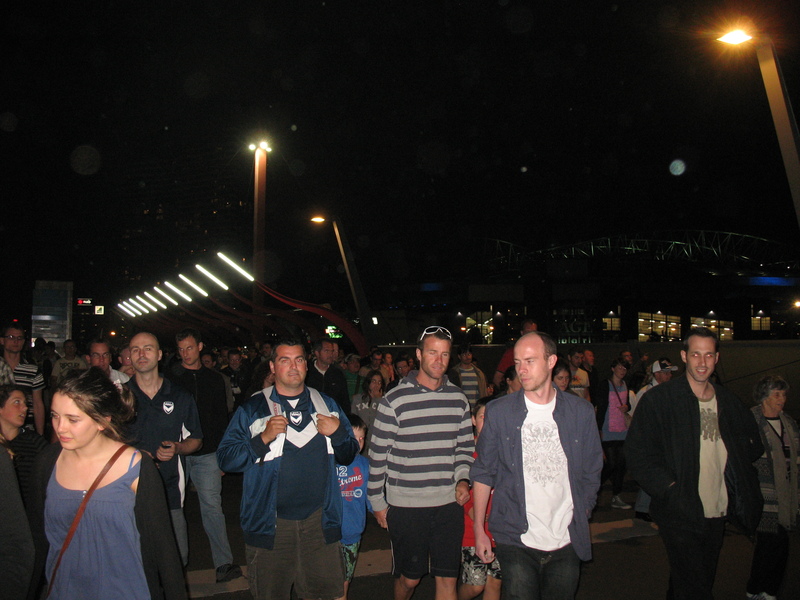 Took this photo (not sure if it that’s clear) just after last night’s match between SydneyFC and Melbourne Victory at Etihad Stadium and noticed that the remaining part of Wood Marsh’s Bourke Street footbridge is slowly starting to disappear. A bit of a shame really.